Degenerative scoliosis can also develop from traumatic injury, back surgery, or osteoporosis. 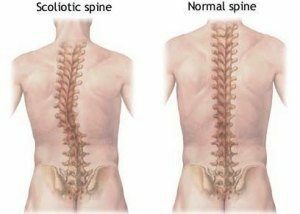 This type of scoliosis is mostly found in older patients, due to abnormal degeneration of the joints and intervertebral discs within the spine. Most treatment plans will be based on the severity of the patient’s condition and incorporate a wide variety of therapies to increase positive outcomes. Traditional types of treatment recommended for scoliosis are physical therapy, chiropractic therapy, exercise, and daily bracing of the back. Medication therapy is also commonly used for scoliosis. Non-steroidal anti-inflammatory drugs (NSAIDs) and opioid medications have been found to be most effective with pain relief. 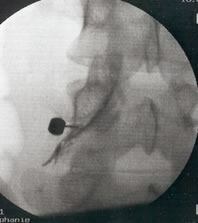 Epidural steroid injections have been successful with pain symptoms as well. Alternative types of therapy have recently become more utilized in the treatment of scoliosis patients. Techniques such as transcutaneous electrical nerve stimulation, biofeedback, and acupuncture have produced positive results in both mild and severe cases. Scoliosis is a condition that causes a person’s spine to curve in an abnormal “C” or “S” shaped pattern. This disorder afflicts millions of people in the United States, but is found to be most prevalent in adolescent girls. There are many causes for scoliosis, most of them stemming from other biological, musculoskeletal, or degenerative conditions. Evidence has also been found linking scoliosis to heredity. A combination of treatments, such as medication, chiropractic therapy, and bracing has been shown to minimize symptoms and improve daily functionality for the patient. In more severe scoliosis cases, surgical treatment is sometimes recommended. At Nevada Pain our goal is to relieve your scoliosis pain and improve function to increase your quality of life. Geissele AE, Ogilvie JW, Cohen M, et al. Thoracoplasty for the treatment of rib prominence in thoracic scoliosis. Spine. 1994;19:1636–42. Kesling KL, Reinker KA. Scoliosis in twins: A meta-analysis of the literature and report of six cases. Spine. 1998;22: 2009-14. Korovessis P, Piperos G, Sidiripoulos P, et al. Adult idiopathic lumbar scoliosis. Spine. 1994;190:1926-32.